An Amsterdam museum said it has decided not to return exhibits on display at the exhibition "Crimea: a golden island in the Black Sea" either to Ukraine or to Russia for the time being. The exhibition opened at the Allard Pierson Museum of the archeological museum at Amsterdam University in early February. 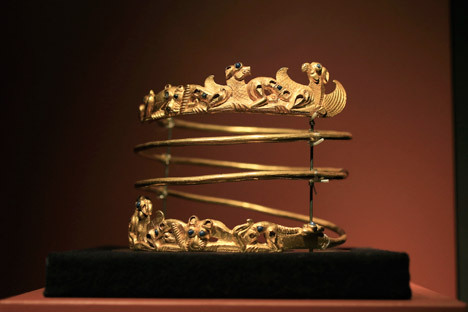 It featured collections from five museums - one in Kiev and four in Crimea - and displayed over 500 archeological finds that included artifacts of Scythian gold, a ceremonial helmet, precious stones, swords, armor, and ancient Greek and Scythians household items.